The charity also pays for medical care, food and other expenses for the lifetime of the pet. Veterans Day is here, but Portland-based nonprofit organization, Hannah's Helping Hands, celebrates veterans all year long with one of their programs. Through the program, the nonprofit organization matches disabled veterans with a companion therapy dog to support them with any physical or mental health challenges they may face, according to a press release from the nonprofit. 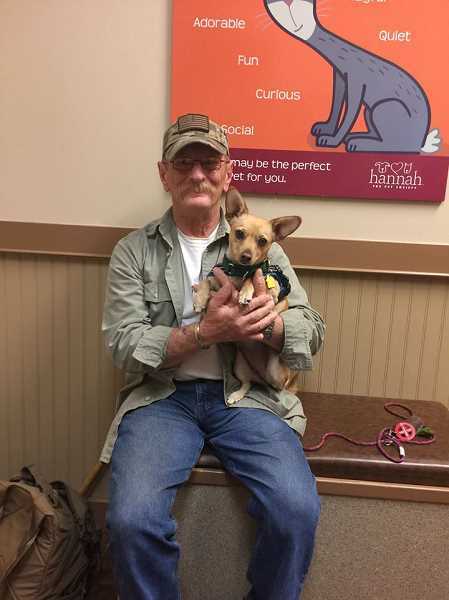 Hannah's pays for all medical care, food and training for the lifetime of the pet. Veterans who already have qualified pets can be added to the program. 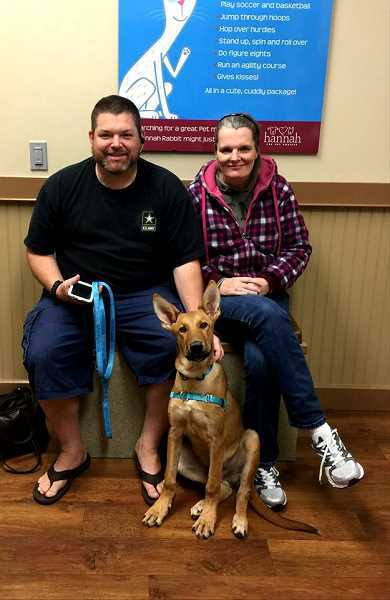 "The unconditional love of a dog can help veterans overcome anxiety, assist with physical limitations and ease their transition back into civilian life," said Jade Steel, the executive director of Hannah's Helping Hands. "I am honored to assist these heroic members of our community, who benefit so profoundly from having a pet in their life, but who wouldn't be able to afford a furry companion without our help." Hannah's Helping Hands offers many programs for at-risk and underprivileged people in the Portland area. In addition to the therapy dog program, they also provide group homes for individuals with developmental disabilities and mental health challenges. They also help families pay for all or part of surgeries for pets who need critical care, and they work with pet shelters, paying for surgeries for homeless pets and helping place them in homes. Throughout the month of November, the charity is running a fundraiser, "I helped a vet get a pet today" to promote the therapy dog program. The organization is inviting members of the community to support local, disabled veterans who need the help of a therapy dog. More information on donating can be found at hannahscharity.org. "Every gift, no matter the size, will directly help a struggling veteran," Steel said. "I firmly believe that helping our National heroes, makes you a hero."